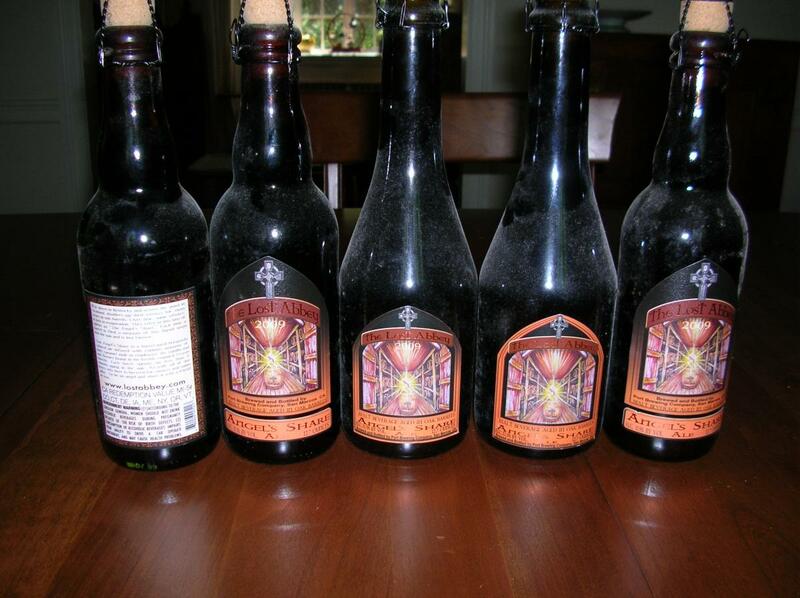 Home » Bottles: 2001 - Newer » Item Details: Lost Abbey Angel's Share Lot - 2008 & 2009 barrel-aged variants! Lost Abbey Angel's Share Lot - 2008 & 2009 barrel-aged variants! Angel’s Share Lot: 1 bourbon 2008, 1 bourbon 2009, 3 brandy 2009 Each of these 375ml bottles has been stored in a dark, cool, temperature-controlled cellar since purchase. If you have any questions, would like more pictures, or would like to inquire about other bottles I will be selling soon, please don't hesitate to get in touch. I will ship you the beer within 72 hours of purchase in packaging as bomb-proof as possible. Shipping to lower 48 US only. Paypal only. Thanks for looking!